In 1977 André Kuipers graduated from the Van der Waals Lyceum in Amsterdam. André Kuipers received a Doctor of Medicine degree from the University of Amsterdam in 1987. During his medical studies, André Kuipers worked in the Vestibular Department of the Academic Medical Centre in Amsterdam, the Netherlands, where he was involved in research on the equilibrium system. In 1987 and 1988, as an officer of the Royal Netherlands Air Force Medical Corps, he studied incidents caused by disorientation in pilots of high-performance aircraft. In 1989 and 1990, he worked for the Research and Development department of the Netherlands Aerospace Medical Centre in Soesterberg. He was involved in research on the Space Adaptation Syndrome, contact lenses for pilots, vestibular apparatus, blood pressure and cerebral blood flow in both high-acceleration conditions in a human centrifuge and in microgravity conditions in aeroplanes. In addition, he performed medical examinations of pilots and monitored human centrifuge training as well as teaching pilots physiological aspects of flying. From 1991 André Kuipers was involved in the preparation, coordination, baseline data collection and ground control of physiological ESA experiments for space missions. In particular, he was a project scientist for Anthrorack, a human physiology facility that flew on the Spacelab-D2 mission in 1993, and for two experiments on lung and bone physiology that flew on the Mir space station during the EuroMir-95 mission. André Kuipers was then involved in the development of the Torque Velocity Dynamometer that flew on the LMS Spacelab mission in 1996, the Muscle Atrophy Research and Exercise System (MARES) to research muscles on the International Space Station, and an electronic muscle stimulator (PEMS) for astronauts. In July 1999, André Kuipers joined the ESAs Astronaut Corps, based at the European Astronaut Centre (EAC) in Cologne, Germany. André Kuipers was assigned to ESAs technical heart, ESTEC, in Noordwijk, the Netherlands, continuing his work on microgravity experiments. Until he started training for his spaceflight, André Kuipers supported a research programme in physiological adaptation to weightlessness in humans. He coordinated European experiments on lung function and blood pressure regulation using ESAs Advanced Respiratory Monitoring System (ARMS), launched on Space Shuttle mission STS-107. ESA has for a long time urged NASA to have Kuipers as a Payload Specialist on the STS-107. The reason was that the STS-107 changed several times from launch date and suddenly had to be launched very quickly at a given moment. Then the question arose how the crew had to train the complex experiments with the ESA payload ARMS in such a short time. Because Kuipers was project scientist of ARMS and ESA astronaut, ESA pushed him forward to become part of the crew. In fact he has been training with the crew for a longer period. NASA, however, stopped it, probably because Ilan Ramon was already in the picture. Eventually the launch date was pushed backwards and the ESA argument expired. 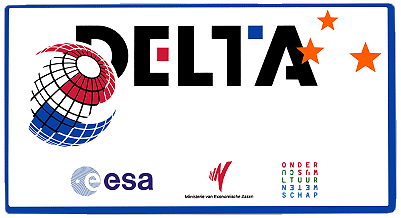 André Kuipers continued to support ESAs parabolic flight campaigns. He flew on these flights as an experiment operator, technician, test subject and flight surgeon. 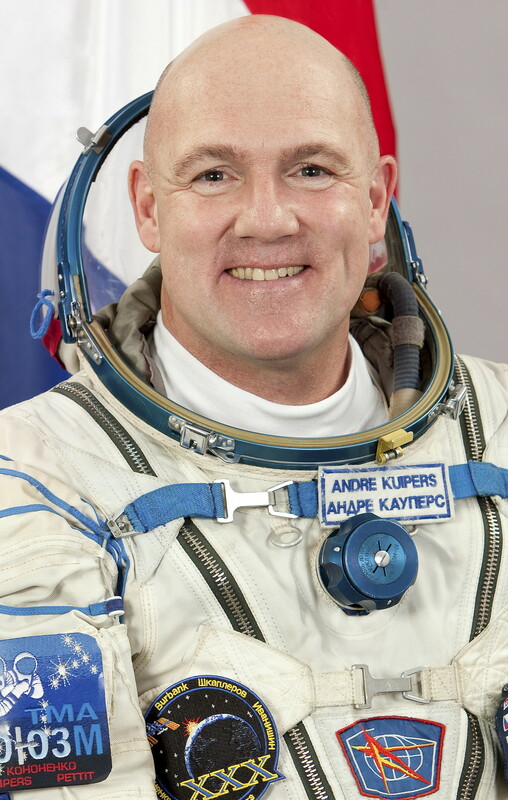 In 2002, André Kuipers completed ESAs Basic astronaut Training Programme at EAC and the Gagarin Cosmonaut Training Centre near Moscow, Russia. His training included lessons on International Space Station systems, winter and water survival training and spacewalk training. During two Soyuz missions to the International Space Station with ESA astronauts, Soyuz TMA-2 and TMA-3, André Kuipers supported ESA ground team from the Russian Control Centre TsUP as Crew Interface Coordinator. He was also backup for ESA astronaut Pedro Duques mission in October 2003. After his first spaceflight in 2004, André Kuipers performed postflight activities and other duties at EAC and ESTEC. He supported ESA payload development, parabolic flight campaigns and healthcare spin-offs, as well as offering ground-support for missions of other ESA astronauts. André Kuipers also qualified as a Eurocom, communicating with astronauts from Columbus Control Centre in Munich, Germany. 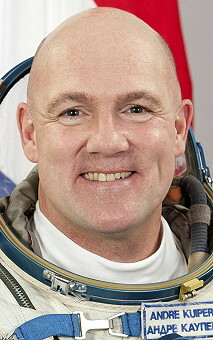 In 2005, André Kuipers was assigned as backup for the first Canadian International Space Station increment. He received training on the US and Russian Station modules, as well as robotics operator and spacewalk training. 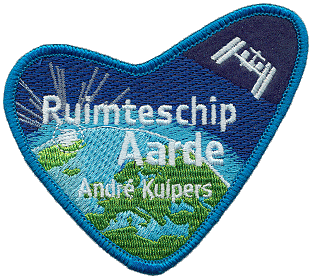 From 2007, André Kuipers trained as backup to ESA astronaut Frank De Winne for Europes second long-duration spaceflight to the International Space Station. He received user, operator and specialist level training on all Station modules as well as training on experiments conducted in ESAs Columbus space laboratory and training on the Europes Automated Transfer Vehicle. From May 2009, André Kuipers was assigned to Eurocom duties at the Columbus Control Centre and EAC in support of De Winnes six-month mission. He njoys flying, scuba diving, skiing, hiking, travelling and history. Last update on December 30, 2018.